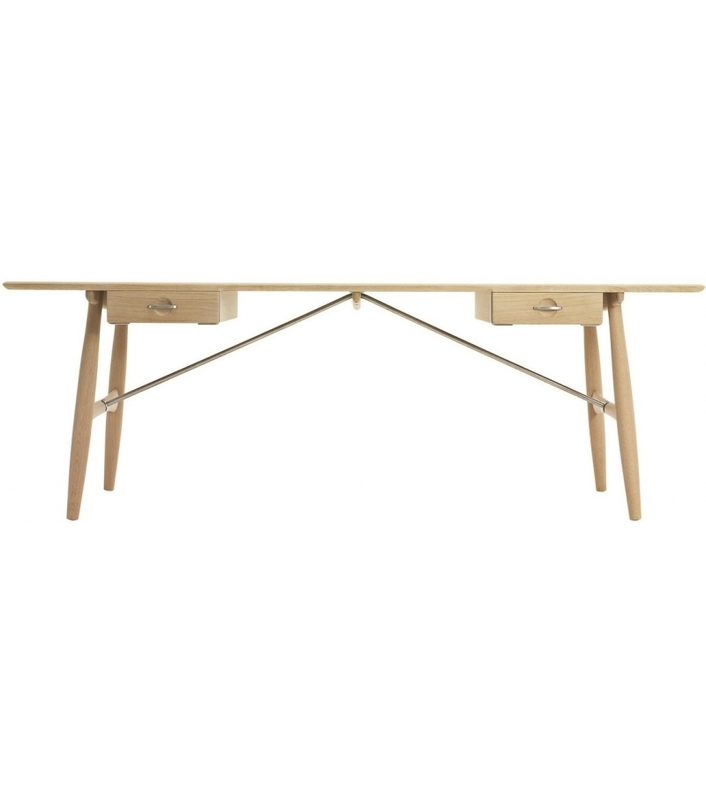 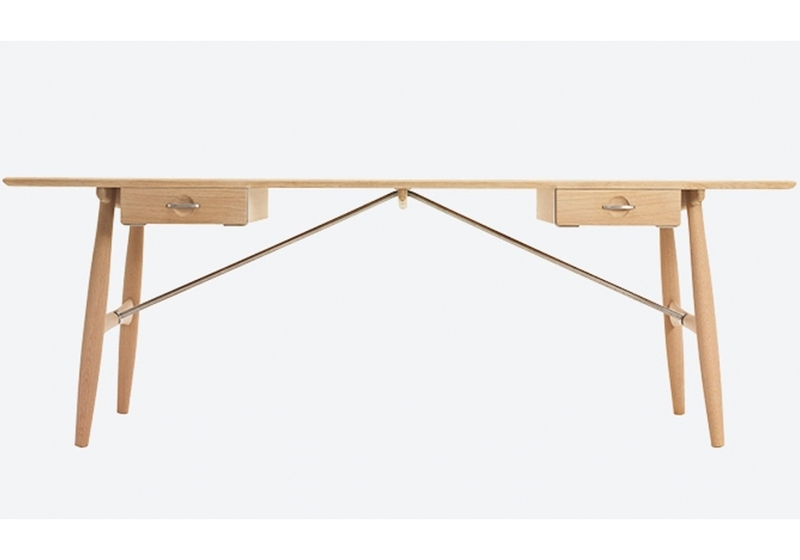 PP571 Architect's Desk, signed by Hans J. Wegner for PP Møbler, is a wooden desk with locks in both drawers. 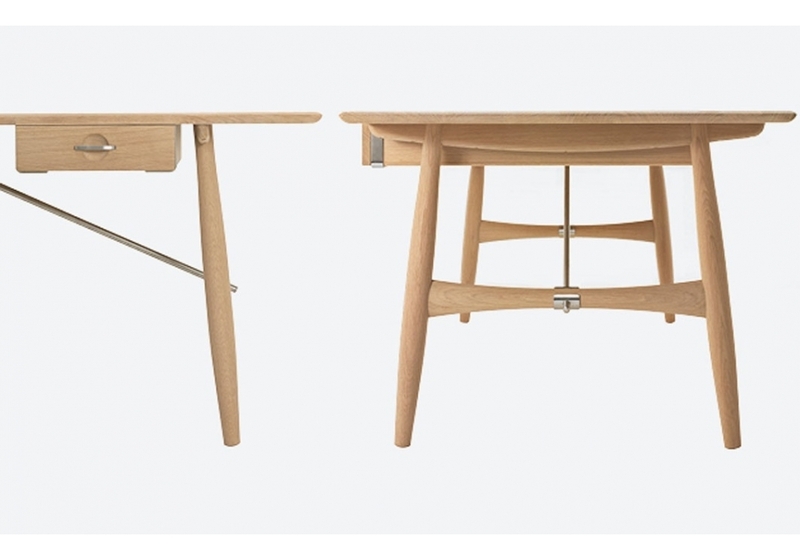 The desk marks the beginning of Wegner's work on combining sharp steel and sculptural solid wood in most elegant and well-balanced solutions. 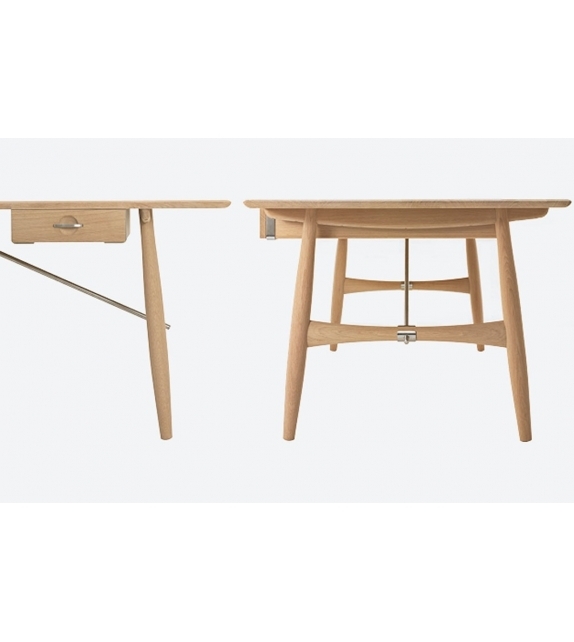 In this respect the desk precedes such unique classics as the Swivel Chair, the Cross Legged Table and the pp75 table. 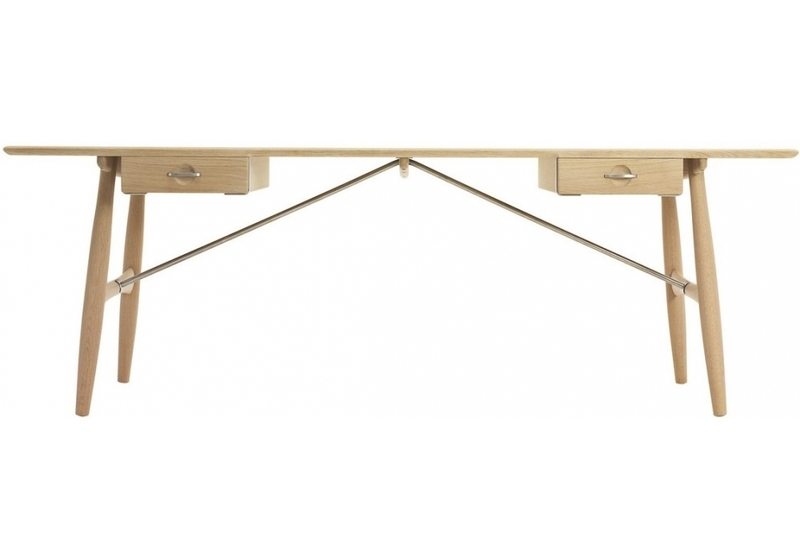 PP571 Architect's Desk, signed by Hans J. Wegner for PP Møbler, is a wooden desk with locks in both drawers. 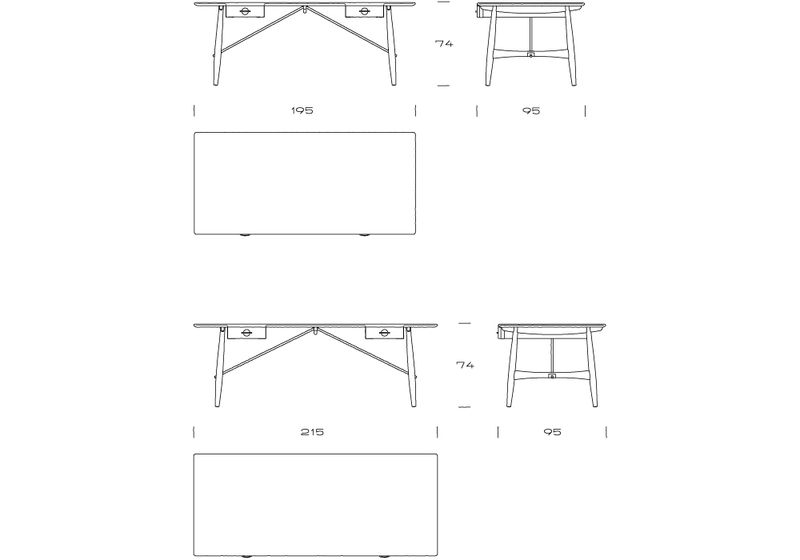 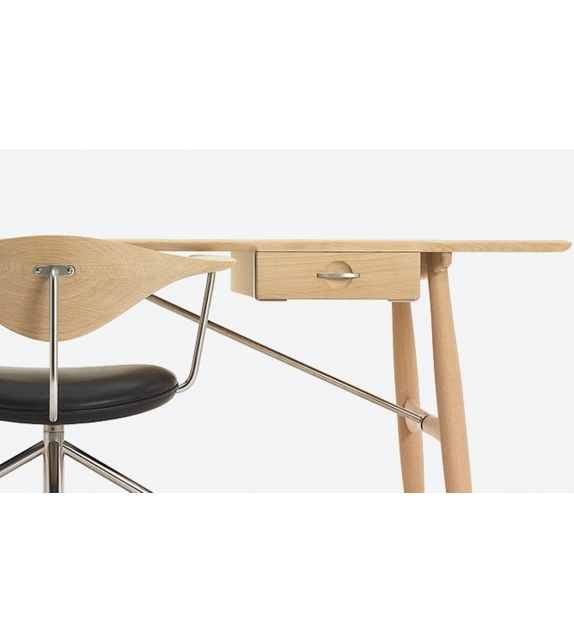 Hans J. Wegner designed the extraordinary pp571 Architect´s Desk in 1953 as a match to the Round Chair (The Chair). 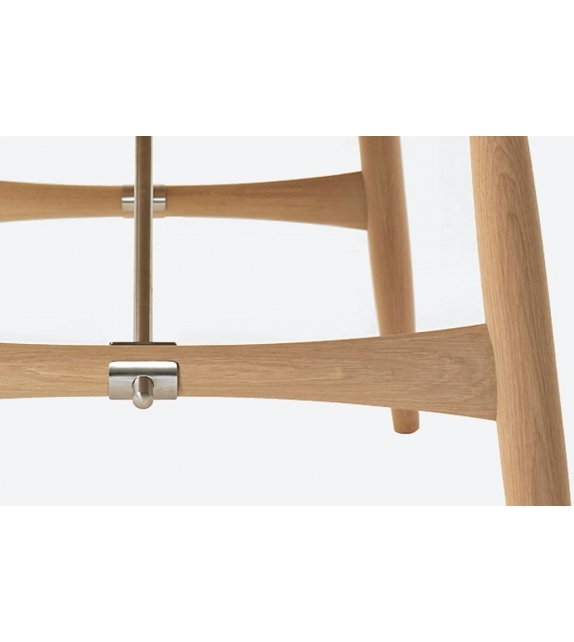 Later in 1955 he designed the Swivel Chair hence completing a line of exclusive, functional and exquisitely crafted masterpieces for the CEO office. 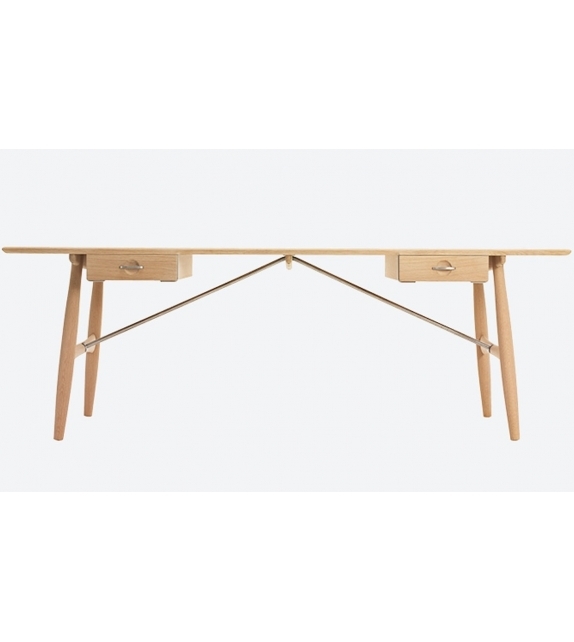 The desk marks the beginning of Wegner's work on combining sharp steel and sculptural solid wood in most elegant and well-balanced solutions. 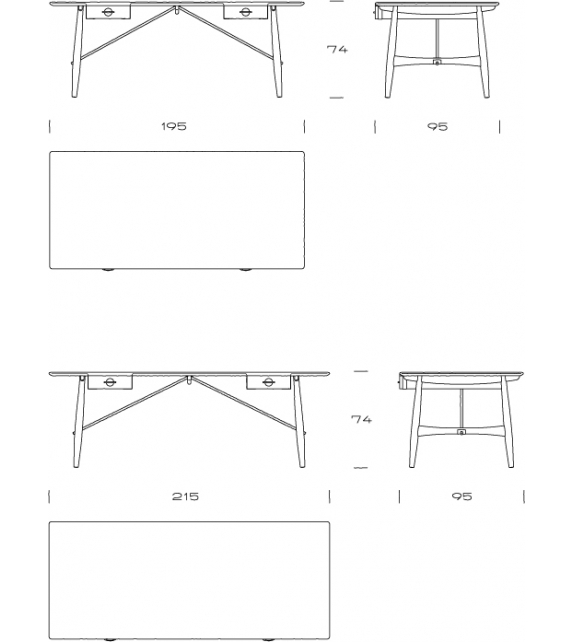 In this respect the desk precedes such unique classics as the Swivel Chair, the Cross Legged Table and the pp75 table. 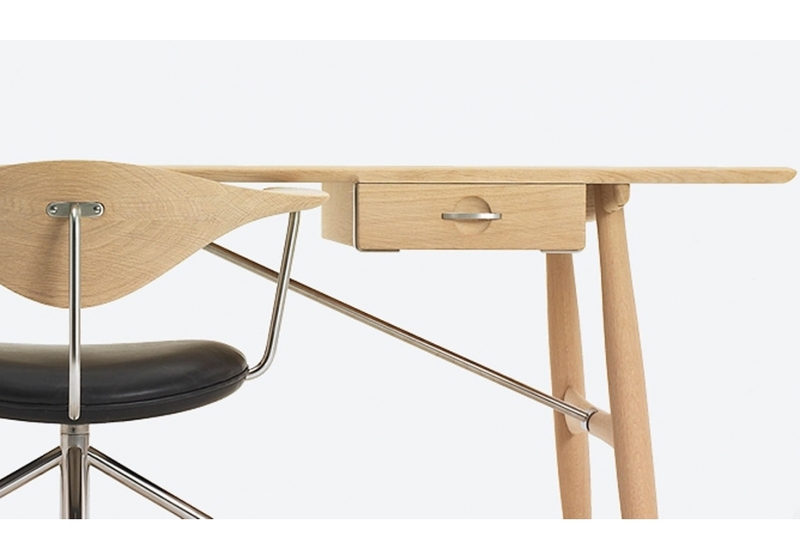 Also this desk clearly extends the ideas behind Wegner's breakthrough design the Round Chair. 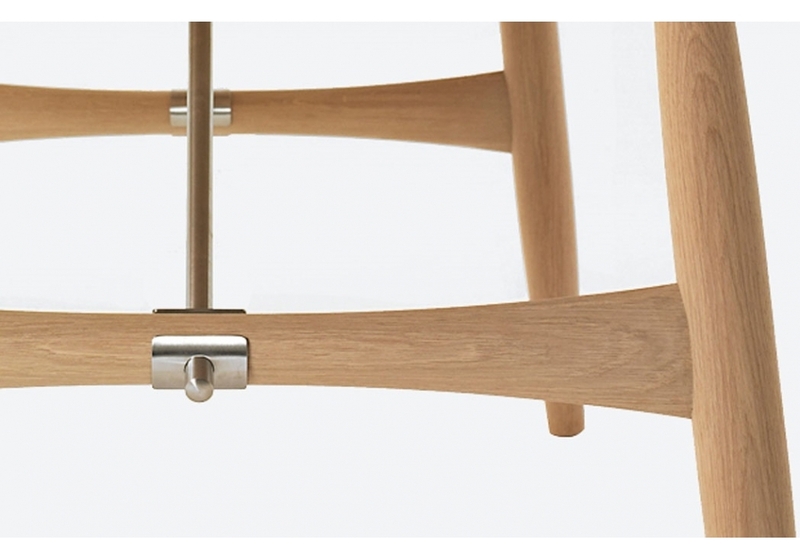 The scarce, organic and always reasonable yet luxurious lines became the language of shape that clearly distinguishes Wegner as one of the greatest designers of all times.